Joseph Beltrami was a prominent lawyer who graduated from the University in 1953. He was born in Rutherglen, son of Joseph Beltrami who ran a fish restaurant at Glasgow Cross. He received his early education at St Aloysius’ College. 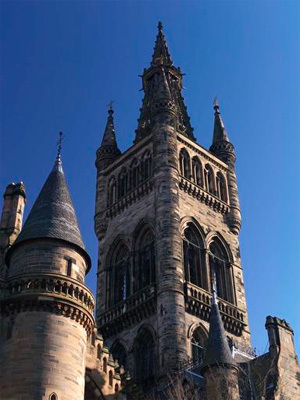 Beltrami first matriculated at the University in 9150 to study for a law degree, taking classes inScots Law, Evidence Procedure and Forensic Medicine. After graduating Beltrami undertook national service with the Intelligence Corps, spending a time as an interpreter and translator at the British embassy in Paris. He also took part in compiling and analysing intelligence with a field security unit based in Taunton, Somerset. When Beltrami finished his service he went onto train as a solicitor, qualifying in 1956. He founded Beltrami and Company in 1958 and appeared for the defence in many sensational trials in Scotland including those of Johnny Ramensky, Colin Beattie, Jimmy Boyle, Patrick Meehan and Arthur Thompson. In 1993, Beltrami became the first Solicitor-Advocate to plead in the Court of Criminal Appeal. He published several books connected with the law, such as The Defender: Tales of the Suspected (1988) and A Deadly Innocence: The Meehan File (1989).